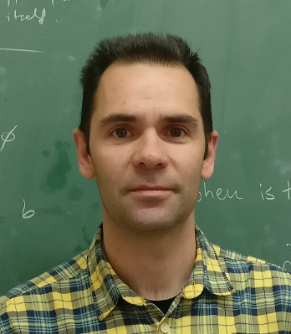 Ramón y Cajal research fellow at Universitat de Barcelona (2016-present). Postdoctoral researcher at Radboud Universiteit Nijmegen – The Netherlands (2013-2016). Beatriu de Pinós Postdoctoral fellow at Centre de Recerca Matemàtica (2007-2009). MEC Postdoc fellow at Universiteit Utrecht – The Netherlands (2005-2006). Profesor ayudante at Universitat de Barcelona (2003-2005 and 2006-2007). FPI Predoctoral fellow at Universitat Autònoma de Barcelona (1999-2003).PhD in mathematics, from Universitat de Barcelona, 2004. Degree in mathematics, form Universidad de la Rioja, 1998. On autoequivalences of the (∞,1)-category of ∞-operads (with Dimitri Ara and Moritz Groth) Mathematische Zeitschrift 281 (2015), no. 3-4, 807–848. A generalization of Ohkawa’s theorem (with Carles Casacuberta and Jirí Rosický) Compositio Mathematica 150 (2014), 893–902. Are all localizing subcategories of stable homotopy categories coreflective? (with Carles Casacuberta and Jirí Rosický) Advances in Mathematics 252 (2014), 158–184.